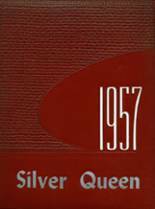 Listings of high school yearbooks for Aspen High can be found below. You will find former students who are seeking yearbooks, those looking to sell a yearbook and general yearbook requests among the Aspen High yearbook listings. This yearbook section was created to help alumni post yearbook classifieds. I lost my Highschool yearbook during a move. In search of 1969 year book for Aspen Colorado. This was my Graduation year and I spent many hours helping to put this years book together. I didn't have the money to buy a copy for myself even though I was working almost every hour I wasn't attending High School. If any one for sale and wants to fine a good home for it please contact me. Looking for my graduation yearbook. I did the layout work on it and was unable to afford a copy at that time because I was living on my own and was working several jobs to support myself while trying to finish high school.